Shop for clothes and shoes from top brands at discounts of up to 70%. Experience a wonderful ballet performance live in Dusseldorf. The highly talented choreographer Robert Binet was Choreographic Apprentice at the Royal Ballet London in 2012-2013 and is currently the house choreographer at the National Ballet of Canada. Enjoy the musical talents of Laura Carbone live at The Tube. With support from Lucy Kruger & The Lost Boys. The free KPMG Cultural Evenings at the K20 and K21 museums are composed of a variety of activities, from guided tours to artist talks, some of which are in English. Nerd Nite began in New York in 2006 and has since expanded to over 90 cities worldwide. It is best described by its motto: It’s like Discovery Channel with Beer. During the event several experts will give fun talks about a variety of topics while you eat & drink. Nachtkonsum Nachtflohmarkt (Night Flea Market) returns to Boui Boui Bilk with live music and food trucks. Quatsch Comedy Club Düsseldorf features top notch comedians that will have you laughing the whole night, and the next show is certainly no exception! The four comedians this month are Benaissa, Michael Schönen, Archie Clapp and Achim Knorr, plus host Martina Bandl. Enjoy a dinner with drinks, music and an after party at a stylish location – all for a good cause. This event supports former German national team footballer Gerald Asamoah’s charity for children with heart related illnesses. To learn more about their work, click here. Escape the cold winter weather for a while at this massive indoor boating & watersports show featuring excellent activities such as a 90 meter “river” for indoor paddling, The Wave (see video above), a sailing area and surfing simulators. Beyond that, you’ll find numerous displays covering everything from ocean conservation to super yachts. Families and theatre fans, here’s your chance to experience the magic and music of Disney’s Beauty & The Beast live on stage in Cologne. The colorful, high energy multimedia show that’s been seen by more than 35 million people makes its way to Essen this month. Looking for more things to do? 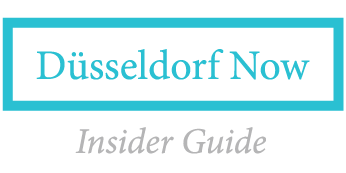 Check out New in Düsseldorf – our guide to cool new restaurants, shops, cafés and bars in Düsseldorf. We hope you enjoyed this guide and wish you a happy & healthy new year!